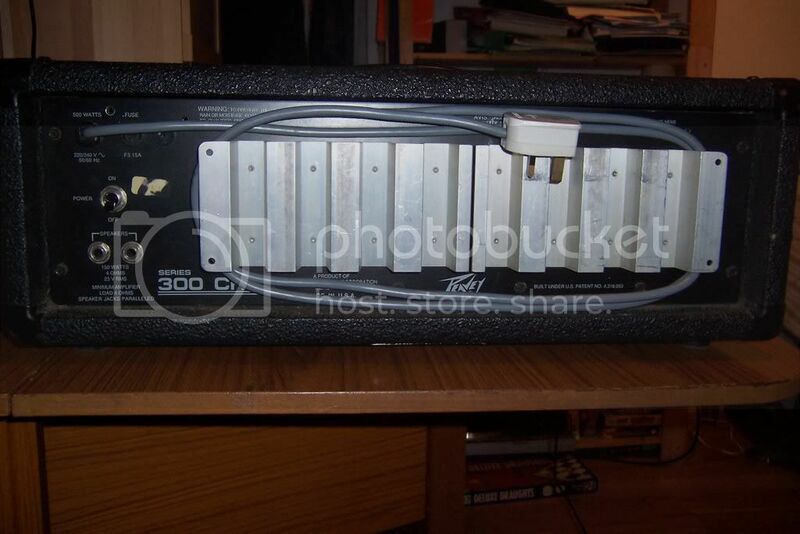 Peavey MK III 500w, with 4x10 cabinet. great pickup, only been gigged a few times. send me a PM if interested and would like pictures. 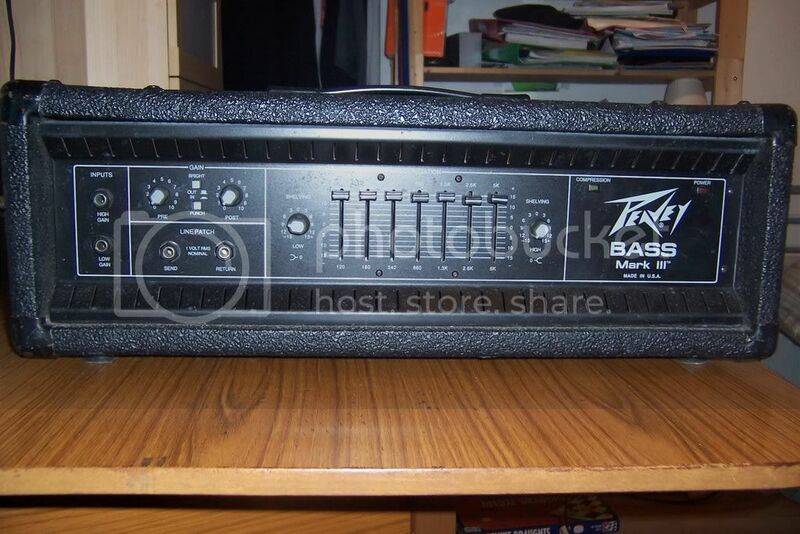 Hi could I see a pic of the Bass Amp. Can it power 2 cabs? amp has a 4 ohm rating, so you can connect two 8 ohm cabinets to it. also, output is 150w, sorry not 500w. Still loud though! cool thanks for posting pics. 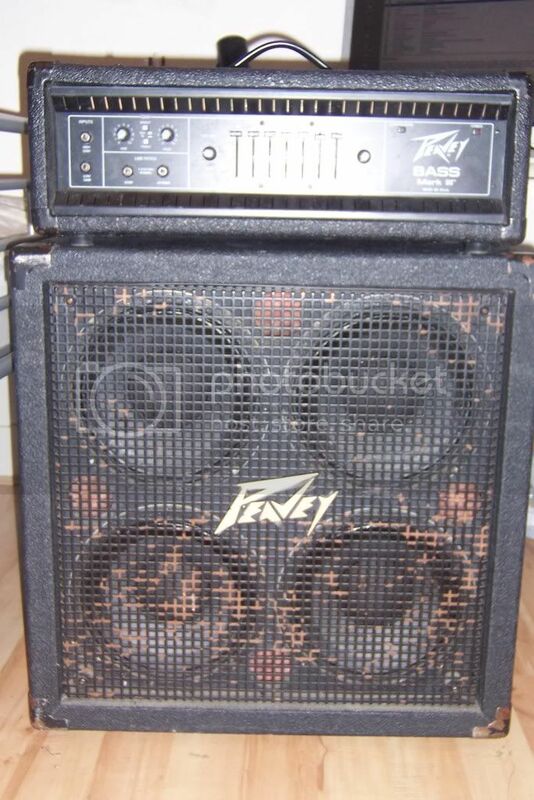 I have an old Laney DP 150 head and matching 2 x 15 cab. Thats 150watts into 4ohm too, but the head is really dodgey, cuts out now and again, it may just need a good clean/service but no idea how to go about that. whats the max wattage of head the cab could take? I'm afraid I dont actually know, I'm asuming about 200w. I'll have search on google later. I'm interested in the pickup but I'm nowhere near. Would you be able to post it? Also - how much have you sanded it down? I understand this is how you get the Revolution Solo to fit. Is it a Revolution Solo, or a Revolution Solo 2? Are you not happy with it? Is that the reason for sale? I've heard good things about them.